The western states that supported regime changes and financed militants in the Greater Middle East, particularly in Libya, bear responsibility for the chaos ravaging the region, Russian Foreign Minister Sergey Lavrov said during his visit to Cairo. Lavrov arrived in Cairo on Monday with Russian Defense Minister Sergey Shoigu for a joint meeting of the Russian and Egyptian foreign and defense ministers. The fight against terrorism was top of the meeting’s agenda. Both sides reiterated that for counter-terrorist efforts to have any effect, the fight against this global threat must be carried out jointly. “The recent attack on the Coptic Christians once again highlights the need for vigilance. We stand united in our attempt to boost anti-terrorist efforts around the globe,” Lavrov said during a joint press conference with his Egyptian counterpart that followed the meeting. Lavrov was referring to Friday’s terrorist attack in the town of Minya, which claimed the lives of 28 people, including children, and left dozens injured. Islamic State (IS, former ISIS/ISIL) claimed responsibility for the attack, which prompted Egypt to launch what it called responsive strikes against jihadist positions in neighboring Libya. 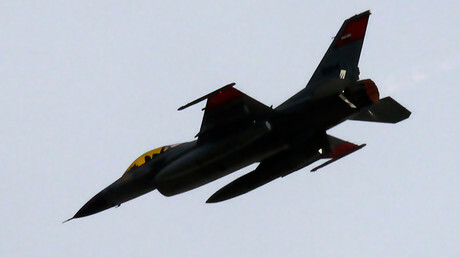 On Saturday, the Egyptian Defense Ministry said in a statement that Egypt’s armed forces have successfully completed the destruction of all planned targets abroad, including the militants’ concentration areas and training camps. “Libya was bombed and its government was violently overthrown. It was turned into a backyard for terrorists and criminals. The regime was changed with the help of those [militants], who came from Europe. They were free to leave their countries because everybody knew where they were going and what they were going to do there. And then they were welcomed back,” he said. 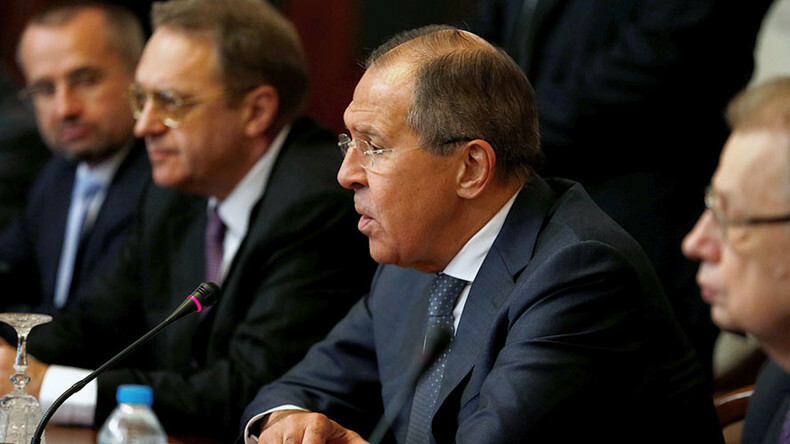 “Now, we just see the consequences of these irresponsible policies,” Lavrov told reporters at the press conference, adding that western countries should bear responsibility for the chaos that resulted from their actions. Earlier, Lavrov also met with the Secretary-General of the Arab League, Ahmed Aboul-Gheit. The Secretary-General later told RT’s Maria Finoshina that he “very much” approves of Egypt’s airstrikes against terrorists in Libya. Shoigu also discussed issues related to combating terrorism and extremism with his Egyptian counterpart. The two sides agreed to continue sharing intelligence and discussed joint exercises and military training. The Russian and Egyptian foreign and defense ministers also held a joint meeting with Egyptian President Abdel Fattah Al Sisi and discussed regional conflicts in the Middle East and North Africa. In October 2015, 224 people, mostly Russian citizens, were killed after an improvised explosive device went off on board an Airbus A321 flying from Sharm El Sheikh International Airport to St. Petersburg’s Pulkovo Airport. The Metrojet Flight 9268 crashed as it was flying over the northern Sinai Peninsula. Islamic State’s supporters in Sinai claimed responsibility for the attack. The bombing led to several countries suspending flights to Egypt over concerns of lack of airport security. While Moscow has continued to uphold the ban, the steps undertaken by Cairo to improve security have led to an agreement to resume the flights “in the shortest term,” the Egyptian Foreign Ministry said following Monday’s meeting in Cairo.